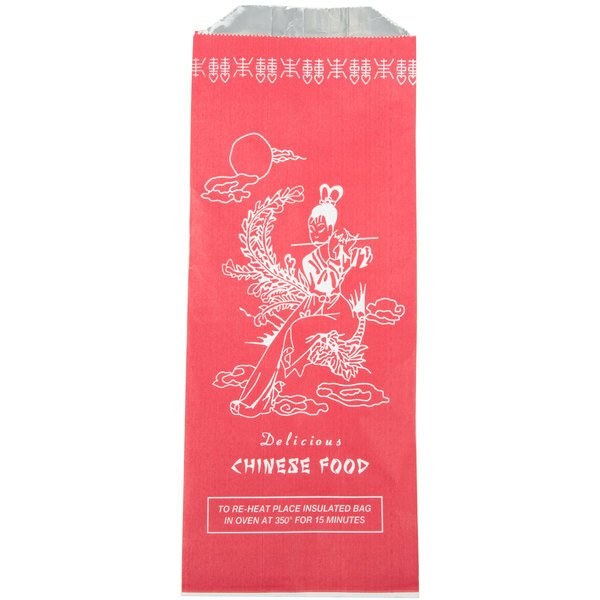 Send tantalizing ribs, egg rolls, or other delicious Chinese sides home with customers in this foil insulated bag! It's a great option to use for to-go and delivery service, fairs, and large events. This bag boasts eye-catching Chinese graphics on the outside with a bold red color that will lure other customers to your business. 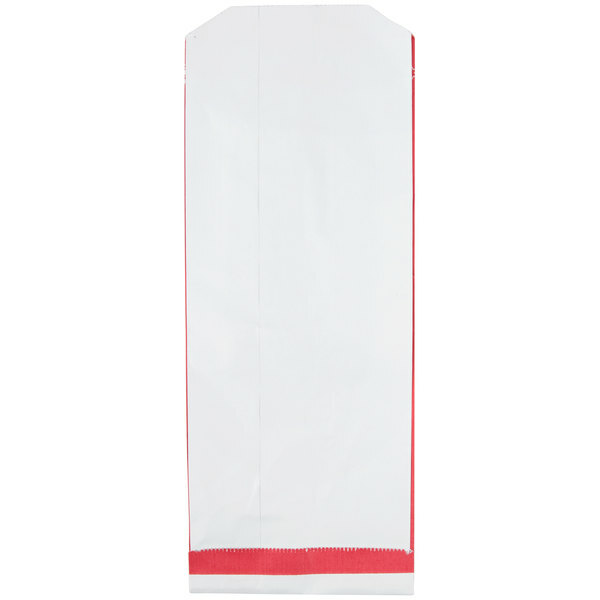 Whether you need basic take-out bags at your Chinese restaurant or you are hosting a Chinese themed event or stand, this foil bag is a great addition to capture guests' attention. 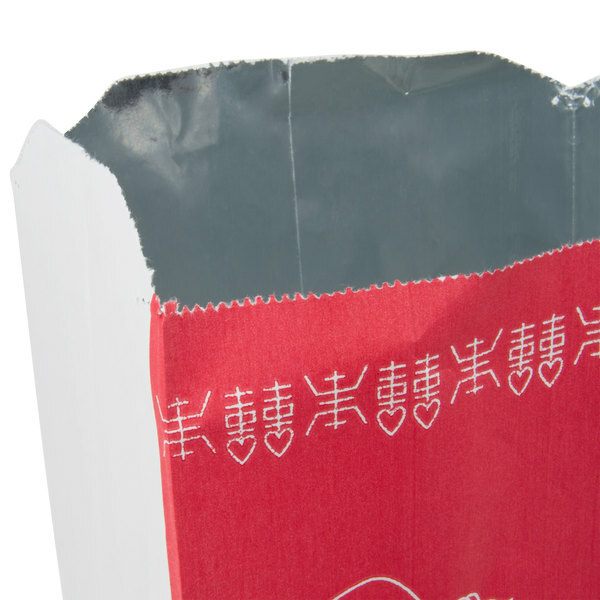 A foil construction insulates the contents of the bag, keeping it warm and locking in moisture. This will maintain the mouth-watering quality of your foods while being held or transported! You can even use this bag to reheat foods in the oven for maximum convenience. This quart sized bag is ideal for holding large portions of egg rolls and side dishes, and is even large enough to hold half of a chicken for transport.